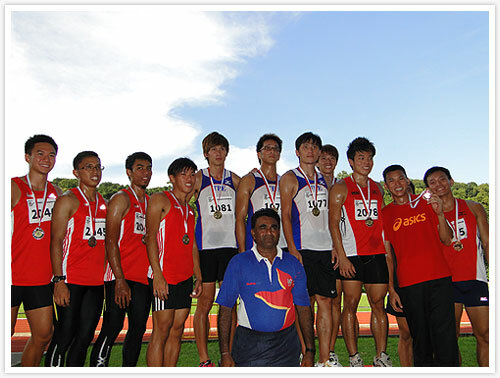 Md Firdaus B Nordin took part in the Singapore Disability Sports Council 100m and 200m wheelchair race. He won both events with considerable ease. The medalist recipients for the event men’s 4x100m. The team from Chinese Taipei blitz the race to win in a time of 39.86 seconds, while a slight botch of the baton passing between third and the last leg, cost the Singapore Selection team a sub-40 seconds timing, managing to finish only in a time of 40.71 seconds. Third was the team from Wings. The results corner near the exit and entry was a popular haunt by everyone alike for the latest Singapore Open updates. Team SAFSA was present for the Championship. 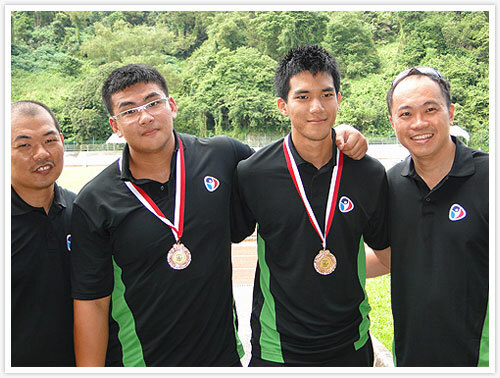 Both seen here below are thrower Scott Wong, and jumper Matthew Goh, both walked away from the event with a medal each.